Lisa Nielsen, best known as creator of The Innovative Educator blog, is an outspoken and passionate advocate of learning innovatively. She is frequently covered by local and national media for her views on "Thinking Outside the Ban" to harness the power of technology for learning. Ms. Nielsen speaks with audiences around the world sharing real-life anecdotes about the risk-taking actions she feels are necessary to do what is in the best interest of 21st century students despite the protests of educational administrators and policy makers stuck in the past. Passionate about educator voice and thinking outside the ban Ms. Nielsen blogs, promotes cell phone use for educators and students, and friends students on Facebook even though an outdated educational system tried to stop her from moving ahead. She has already seen her efforts begin to pay off as her district has taken baby steps in breaking free from the old way of doing things and is moving toward embracing innovation and recognizing that some of these ideas are not so bad after all. Disclaimer: The information shared does not reflect the opinions or endorsement of her employer. It's rare for education reformers, policymakers, and funders to listen to those at the heart of education reform work: The students. In fact Ann Curry who hosted Education Nation's first *student panel admitted folks at NBC were a little nervous about putting kids on stage. In their "Voices of a Nation" discussion, young people provided insight into their own experiences with education and what they think needs to be done to ensure that every student receives a world-class education. After the discussion Curry knew these students didn't disappoint. She told viewers, "Students wanted to say something that made a difference to you (adults) and they did. Now adults need to listen." A crucial element of a successful school year is to provide students with an empowering Atmosphere for learning. Watch this brief video from Quantum Learning Education showcasing tips on what you can say and do to create a climate in your classroom that promotes a sense of joy, safety, and support. 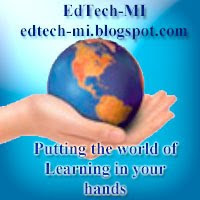 In their book, Disrupting Class: How Disruptive Innovation Will Change the Way the World Learns, Christensen, Horn, and Johnson (2008) assert that online and blended learning are creating disruptive innovation that will impact Michigan and the nation. Stacker chronicles 40 schools that have successfully blended bricks and mortar with online learning in The Rise of K-12 Blended Learning: Profiles of Emerging Models (2011). Beyond reform, “Online learning has the potential to be a disruptive force that will transform the factory-like, monolithic structure that has dominated America’s schools into a new model that is student-centric, highly personalized for each learner, and more productive” (Stacker, 2011, p. 3). At St. Clair County RESA, a multi-disciplinary team created a blended learning continuum depicting the instructional transformation that occurs when schools move from traditional, face-to-face classroom instruction in a bricks-and-mortar environment to a blended learning classroom that is accessible 24/7/365. [See Insert] In Stage 1 of the continuum, a teacher serves the main dispenser of knowledge. Students primarily sit in straight rows, often passively absorbing the information conveyed. Three stages from this is the blended learning environment wherein the teacher serves as lead learner and mentor for students who are actively engaged in learning, both face-to-face and online. Students use Web 2.0 tools and technology to research, design, create and demonstrate their understanding. Cell phones in schools... pretty hot topic these days. Many schools are banning cell phones at school... but is this realistic? And are schools over looking the importance of this 21st Century learning tool? Many schools, teachers, and researchers are working to develop the use of cell phones as engaging and sustainable learning tools. It is estimated that by 2020, cell phones will replace personal computers. So, why shouldn't schools be using cell phones as learning tools? The future is NOW! Media Presentation for EMDT Full Sail University, Winter Park FL Dec. 12, 2009. This is truly a lose for education and the world. Steve Jobs has help to make the world a better place for all of us to live in. What kind of teacher will you be today? We need to take chances as we learn, don't be afraid to be wrong. For the last few years I have been fascinated with Clayton Christensen's theory of disruptive innovation and its application to business, politics, education, and insurgency models. What I find most interesting is that his theory, featured in both "The Innovators Dilemma" and "The Innovators Solution" provides a prescription for a small entrant with less resources to compete with and beat a large incumbent. To understand his theory we begin by looking at a set of customers for a good or service. A simplified segmentation of the market is defined as non consumers, mainstream customers, and higher end customers. The incumbent starts by creating a good or service that appeals to the mainstream consumer. Upon reaching market segment saturation, the company looks up market and innovates on the product to capture the higher end more margin rich segment. Often tech companies competing in the same market play this leap frog game of matching innovation to control more of the commodity market. Clayton defines these as sustaining innovations. - By innovating on the business or manufacturing process so as to reduce costs and provide a product that over served consumers can get at a lower price. With both the entrant and incumbent competing in the same segment, the entrant has the margin advantage as the price equilibrium is set at the marginal cost of the incumbent. The incumbent is unable to compete, and the strategy becomes to abandon the low end of the market which contains their least profitable, least loyal customer base and refocus the business in the higher margin tiers with more loyal customers. With the incumbent effectively pushed out of the segment, prices fall to the marginal cost of the entrant. Now competing in a commodity market and faced with the same growth imperative as the incumbent, necessity begets innovation: The entrant must figure out how to apply the new innovation in the business, manufacturing, or product to move up market. Once this happens the incumbent abandonment, segment commoditization, and then entrant up market movement repeats itself through until the incumbent is forced out of the market. Here is where it gets interesting: by pushing the incumbent out of the market, the entrant becomes the incumbent and is now exposed to the disruptive entrant. So how does the incumbent compete? Clayton makes the case that the company should develop an autonomous business unit to compete at the lower end of the market. He makes a great argument that the cost structure of an organization drives its values and these cost structure based values limit an incumbent from competing directly with an entrant. While I think this is good solution, I see it as highly reactive. I think an organization should do as Toyota did and implement a clear and hold strategy similar to what the Marines do in their counterinsurgency operations. When competition, demanding customers, and profit mazimazation drive a company to innovate up market, a company should establish an autonomous business unit to move up market much like Toyota did with the creation of Lexus. And even though they were proactive in creating Lexus, sometimes a disruption redefines the market by turning non consumers into customers, forcing an incumbent to be reactive. Ultimately Toyota had to establish Scion to compete with disruptors like Hyundai and Kia. That's a quick look at the Disruptive Innovation model, Thanks for watching and I look forward to your feedback. for more, Check out Clayton's books "The Innovators Dilemma and The Innovators Solution." Technology replacing old manual labor practices. Can we keep up the pace? Can humans reprogram our self to meet the demanding challenge of the changes of our social systems. This is a good video as it show how we must change our thinking. We need to stay quick to change our direction when we need to. Disruptive innovation is happening and if your school does not stay open minded to changing then you will be in big trouble and Disruptive innovative schools with take your place. By Jason Parmenter ~ "Never been a fan of Apple, but I've always appreciated Steve Jobs as a visionary in the field of technology. The tech world suffered a huge loss today with is death. 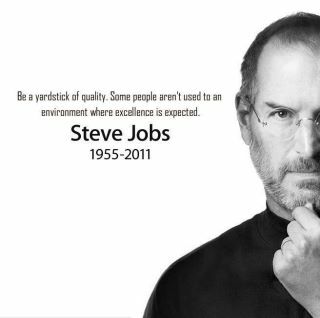 The apple website says it best" "Steve's brilliance, passion and energy were the source of countless innovations that enrich and improve all of our lives. The world is immeasurably better because of Steve." charlie brown teacher - How do you connect with your students. Do you give them the feeling that they are important. You may be the only person in there life that makes them feel as if they are important. Eighteen classroom teachers "speak out" on the topic of tech integration and 21st Century skills for students. A video that depicts what high school students want when it comes to teaching and learning in the 21st century. This is a short video on how to manage your technology in your classroom with Insight from Faronic's. What do educators need to provide their students with 21st Century skills? The purpose of 21things4teachers is to provide "Just in Time” training through an online interface for K-12 educators based on the National Educational Technology Standards for Teachers (NETS-T). These standards are the basic technology skills every educator should possess. In the process, educators will develop their own skills and discover what students need in order to meet the NETS for Students, as well as online course requirement.